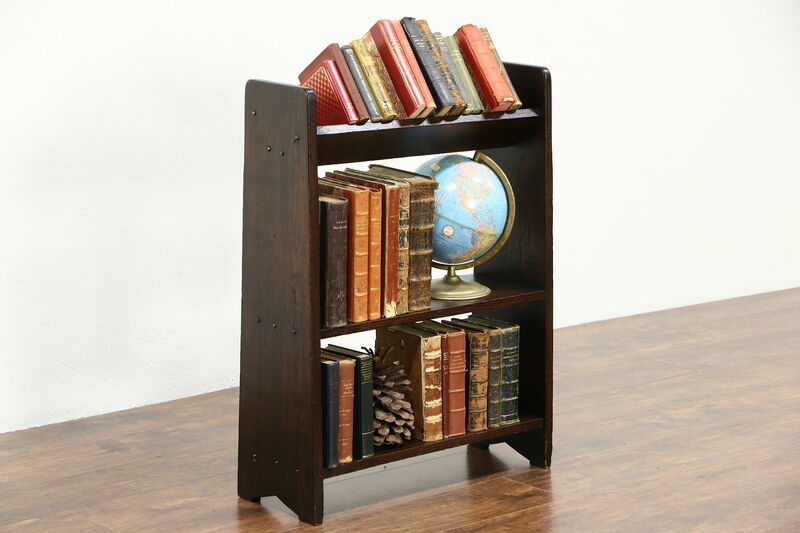 A bookshelf from the Arts and Crafts or Mission Oak period is solid oak. The deep renewed finish is in excellent condition, preserving various mars and shrinkage separations from age for a little antique character. American made Craftsman furniture, size is 26" long, 10" wide and 34" tall.